Nowadays, everyone is busy in any work. Someone is in the house work and someone else in the house. Extra work pressure, different types of thinking, emotional stress, and those that are not properly sleep at night affect our skin as well as our body. The result is that the skin becomes rough, it becomes ripe, the skin of the face becomes irregular in the age of improvisation. 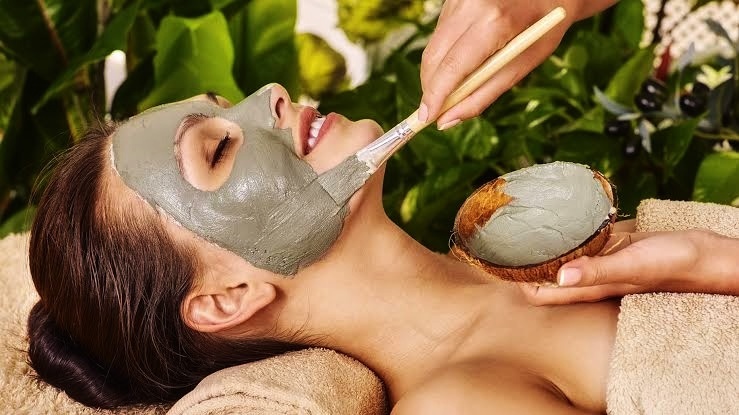 It is not always possible to go to our beauty page for the busyness of work, as well as the substances used here often cause damage to our skin. So let’s see how we can easily facial or face massage at home. As a result of facial or facial massage, our skin’s circulation is very good, dead cells are clean. The oxygen exchange on the skin is exactly the same. Let us first look at what methods to adopt in order to be facialed. To make facial we need to clean our mouth first. Fresh wash can be used for this. Or mixing cold milk, lemon juice and a little salt. With cotton, the mixture must be rubbed on the neck in the face. It will be cleaned with light hot water. Now scrubber has to be cleaned deep in the skin so that face massage can reach the inner layer. For this, any scrubber can be used or mixed with yogurt, bacon and little honey and mix it well in the mouth and neck area and keep it in the mouth with a little water and wash it with a little water. Then, to cool the skin from the inside of the mouth and neck area, one to two teaspoons of honey should be mixed with cold milk to keep the mouth and mouth part 10 to 15 minutes. After this, the face should be washed thoroughly in cold water. As the skin becomes flexible and cold, the skin tone will be slightly lightened. Our skin cells are often suspended due to sweating or dirt sand. It is very important to clean or open them. For this, the water in the saucepan will be heated. If water is released, after 5 minutes, hot water vapor will be covered with a heavy towel. If we take 5 minutes, our skinpots will be cleaned or opened. Now the time is to face the face of the face. Any face pack made in the house should be well-matched in the face and neck area. Take a little water and take a mixture of about a few times and massage the face very well. As long as it is reaching the skeleton of our skin, it is necessary to churn it with the palm of the hand and drag it from the bottom downwards to the massage. After 15 minutes of massage, a soft cloth will be moistened well in light hot water and will have to be cleaned properly. Then, after cooling down in cold water, it will be well removed. At the end of the end you will have to face the cream in your face. This can be easily done at home. 1 cup yogurt with a soft white cloth, the face of the cloth should be hanged for 5 to 6 hours. Once the water separates from the yogurt, only the cream part will be there. Take a cream of curd and mix it with 2 drops olive oil, 2 drops of almond oil and 2 teaspoons of honey. This face is very good for rough skin. 2 big spoons of gram flour and 6 tablespoons of 8 large spoons of oatmeal mixes. Now mix the mixture with a bowl and add 2 tablespoons of honey and 3 tablespoons of water. This facial skin protects the skin and protects the skin from the signs of premature aging. 2-3 large tablespoons of mulatani soil will be kept in the rose water. Now add 3-4 lemon juice and 1/2 cup milk to make a thick mix. This mixture is also very good for oily skin.